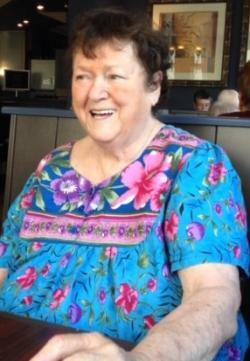 McHugh, Joyce Ann, Antigonish, passed away at The R.K. MacDonald nursing home on Friday, February 22, 2019. Born in Montreal June 6, 1937, she was the daughter of the late Ann and Frank McHugh. Joyce loved animals and cared for many of her own over the years; always feeding the local birds, raccoons and other wildlife wherever she lived. Joyce is survived by her sister Christine Simpson(Mervyn), her three nephews, Rick (Marilyn), Steve (Ann), and Michael (Karen). The family would like to give special thanks to the doctors and nurses at St. Martha’s hospital and the staff at the R.K. MacDonald Nursing Home, Antigonish. Cremation has taken place, a private burial will follow at a later date at Joyce’s request. Online condolences: www.clcurry.com. Private burial at a later date.